Little kids are more informed than ever these days which sadly means they’re discovering the truth about Santa a lot earlier than generations past. 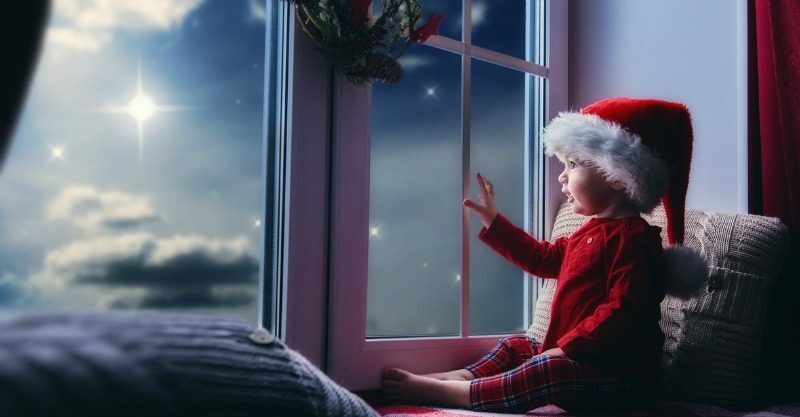 If you want to keep your kids believing in Christmas for as long as possible, you will need to be prepared for the “Is Santa Claus real?” question when it strikes. Perhaps another child has said something at preschool or your child is too cluey for their own good; however it happens, it’s a tricky one for parents to answer as you know the truth will be heartbreaking for your little Santa lover. Once they realise the most magical part of Christmas is in fact untrue, it can be a tough festive season for all. Which is why you need to be armed with a strategy before they blindside you. If your child is still young enough to be thrown off the Santa scent with a little distraction than this is the strategy for you. Throw the question back at them by asking, “What do you think?” Then let them chatter away about their thoughts until it inevitably leads them back to presents and yummy treats until they forget all about their Santa doubts. You can also distract them by asking what Santa brought them last year or what they’re hoping for this year. If your child is around eight-and-a-half years old they are right smack bang in the middle of the most common age to stop believing in Santa. If they are asking you this question, perhaps it is time to break the news gently to them. A popular approach is to make your child feel very special rather than duped by excitedly congratulating them on figuring out the Santa secret. You can then tell them the story of Father Christmas and how he was originally a saint who was so generous that others wanted to emulate his behaviour by giving gifts anonymously without seeking thanks. The best bit is that now they can be like Santa too, by keeping the magic alive for their younger siblings and other kids who still believe. They can even give their own gifts anonymously to charity, friends or neighbours. It’s a lovely way to make children still feel excited about Christmas and not bitter that they’ve been lied to for years, plus it creates a whole new level of tradition and focuses on the important acts of giving and helping others at this time of year. Use different wrapping paper – Don’t wrap your presents and Santa’s ones in the same paper, they will know! And don’t forget to stash away the incriminating paper well or destroy the evidence. Be careful with handwriting – Type any notes from Santa or print simple cards in big letters using a different pen, whatever you need to do to make sure it’s not recognisable as your handwriting. Hide Santa gifts where they’ll never find them – Don’t just settle for under the bed or your wardrobe, think about hiding places that are way up high or where they’ll never look (locked cupboards are the best!). Assume they’re always listening – Be careful when talking about Santa or gifts around the house as their little ears can pick up a lot! The same goes for leaving things on your phone like online shopping for the exact items on their wish list. Eat the goods – If you’re putting out carrots for the reindeer and cookies and milk (or beer!) for Santa, then chow down when they’re asleep. Get those teeth marks on the carrots and scoff the treats. Move like a ninja – Don’t get caught in the act with the Santa presents, wait until the children are sound asleep (check first!) and then sneak in to deliver the goods. Get excited – Talk to your kids about Santa in the lead up to Christmas, get them to write letters, download some fun apps to track his movements, watch festive films and shows, and be super pumped and interested in signs that he’s been and what he gives your kids. Give something out of character – It’s great to fulfil their Santa gift wishes but why not throw something extra in there too? Something they’d never think would come from you, like a sugary treat you never let them have or a movie that’s out of their age bracket they’ve nagged you about watching for ages. Be realistic – It’s okay to tell your kids the truth about some of their doubts. The shopping mall Santas are one example, you can tell them they are really just Santa’s helpers and not the real deal – but only if they ask of course. This can often help put some concerns to rest without ruining the big secret. What other tips do you have for helping kids continue to believe in Santa? !